So here's what I've been up to for the last two weeks: meet Gilligan's Island (so named by our neighbors). We (my mom and her boyfriend, my boyfriend and I, and the occasional curious neighbor) built a new dock at my mom's place. 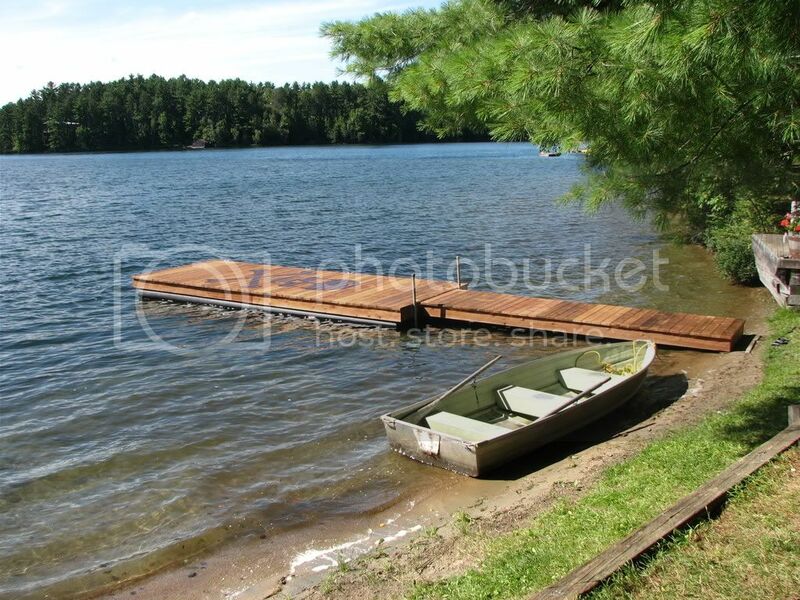 Its made out of red cedar and is supported by a pontoon-like system made of large PVC pipes. 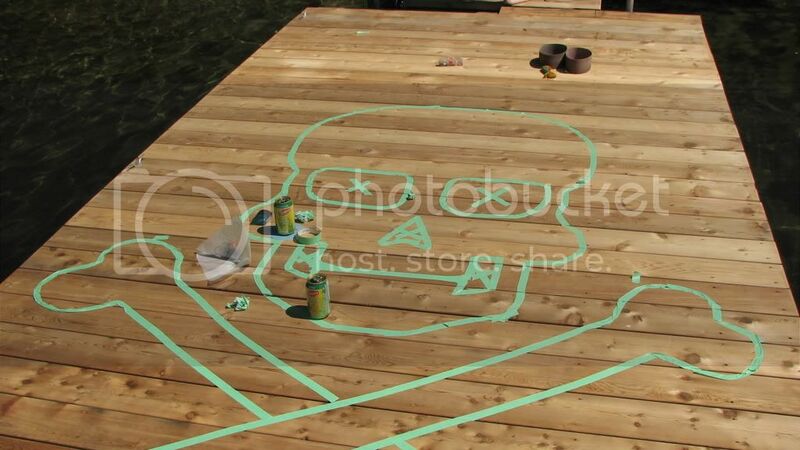 the dock itself is 20x8', and the ramp is 16x4'. This is my boyfriend and I's first real experience with power tools and I stupidly neglected to take progress shots of the build until the very end. Now what am I doing in this photo? 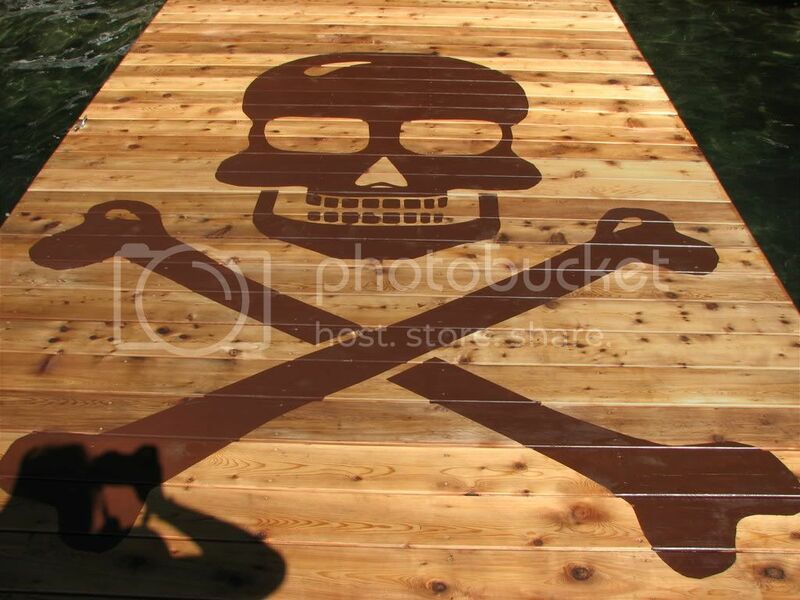 Well I decided any self-respecting sea vessel needs a jolly roger, so I decided to stain one into the wood of the dock. as a pirate, i thank you. and as an artist, i applaud the work. Awesome! That rocks in so many ways! Great job! not a skull girl here but that is AWESOME! and the dog is just too danged adorable! amazing!!!! i love skulls and pirates. this is soo cool. 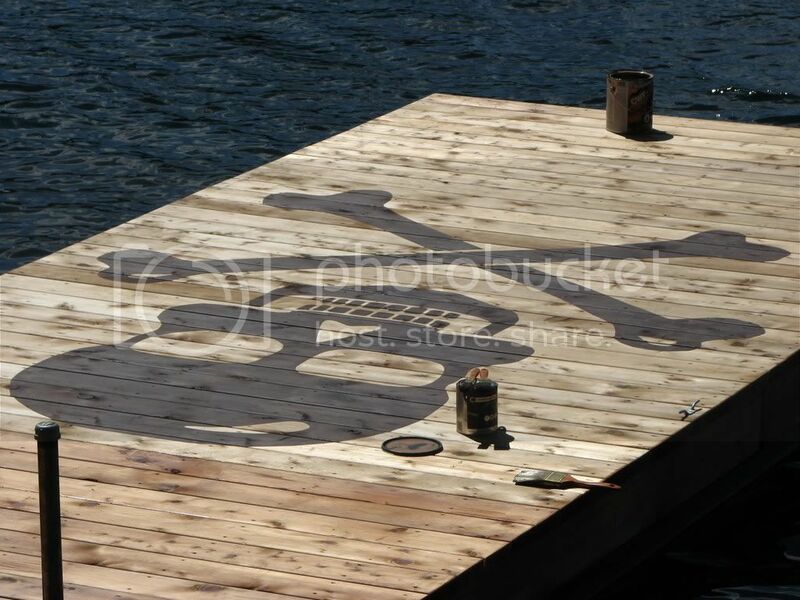 i wish i had a dock just so that i could go paint a huge skull and crossbones on it now. that is uber cool! wow what a project! That's amazing! Did you freehand that whole thing? it's perfect. Completely awesome! 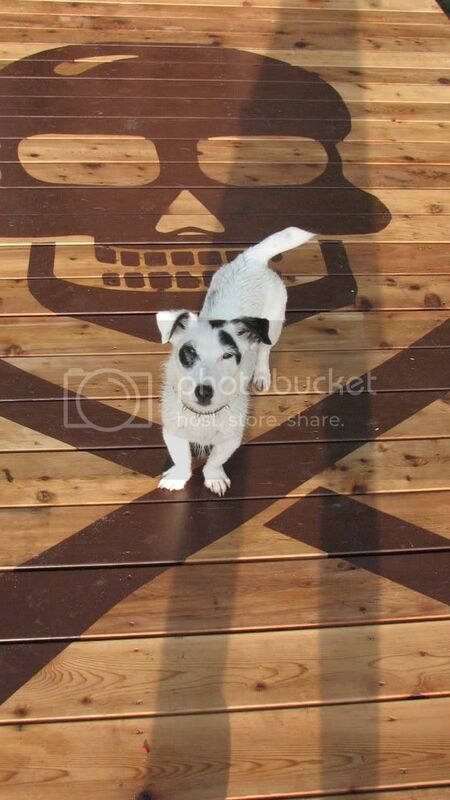 I'm going to be up in Muskoka by this weekend, and you can bet I'll have my eye out for the pirate deck! Marabelle - yes, its all freehanded. there were lots more details i would have liked to have added, but the boys were anxious to seal the thing up so we could go swimming for the rest of the day. I think I did pretty good for the amount of time i had. A Chicken Spoon? Why not!